It appears that with little or no notice Endurance International (EIG) brands HostGator and BlueHost have removed their option to submit support tickets by email. Your only options now is phone support or live chat. The techs that you speak with also do not have the ability to open a new ticket on your behalf in your portal. The change was first noticed in late June 2016. 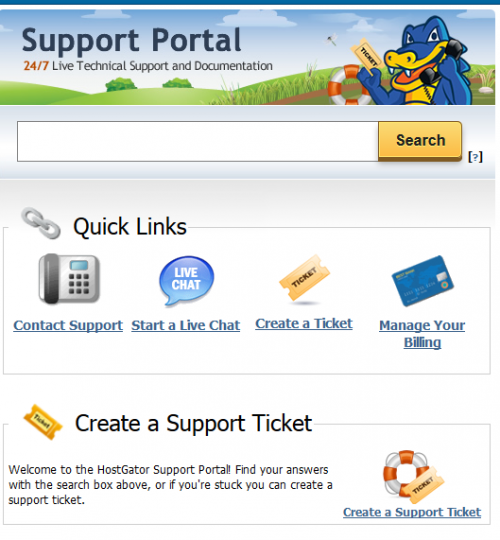 “I discovered that the HostGator support portal no longer allows you to submit tickets.I didn't receive any notice that this was going to happen and discovered it when trying to submit a ticket. As a WHM reseller it is difficult to run my business without the ticket system. While tickets were taking days to get a response, the system is still a needed tool”. Some could argue from a strictly operational and efficiency perspective that it makes sense for the webhosts not have email support. Having a first-line that does simple troubleshooting and escalating with as much detail as possible can definitely be an effective way of handling support. In an outage, they put up a queue message describing the outage which makes a majority of people hang up and stop waiting - whilst the few that do get in are often short calls where the agent just confirms the downtime. Resources can be divided, and second-line techs won't need to go through a heap of ticket history before getting to troubleshooting. These commentators have suggested there's a good reason why telcos, as as an example, rarely if ever have any kind of ticket support. All support requests are not going to be the same. Some are super quick and easy to resolve, while others take some time and in-depth investigation to solve. As such, each contact medium customers can use has value. Phones - great for informational calls, identifying problems, resolving simpler ones, opening tickets as needed. Chats - great for the same reasons as calls, plus with the added benefit of copy/pasting errors, returned message headers, and other textual data. Tickets - great for handling more complicated issues, long-running investigations, and keeping record in ticket replies and notes of ongoing customer issues, related data, helpful links, etc. Twitter/Facebook/Reviews - Greats for lighting fires when other options fail! 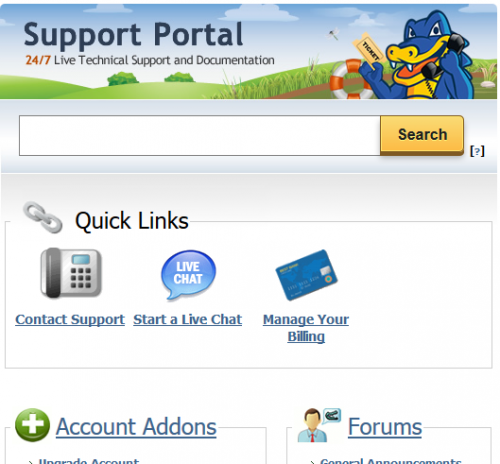 BlueHost and HostGator customers needing support now will have to in a sense ‘pay’ for it with time. It'll make the ones with simple questions think twice, and probably search online for the answer rather than wait in queue. Be prepared for the other Endurance International (EIG) brands to follow suit. It looks like they want to operate with low overhead and an almost automated way of running their hosting operations.